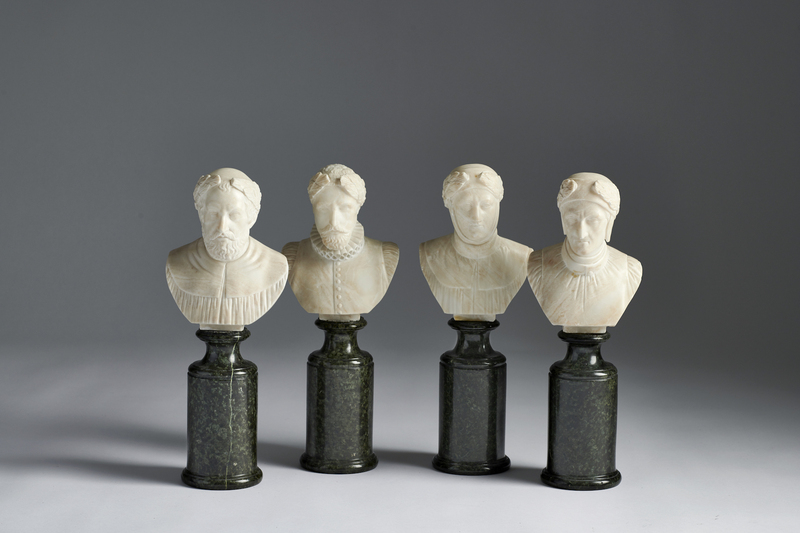 A group of four carved marble busts of philosophers, Italian 19th century. 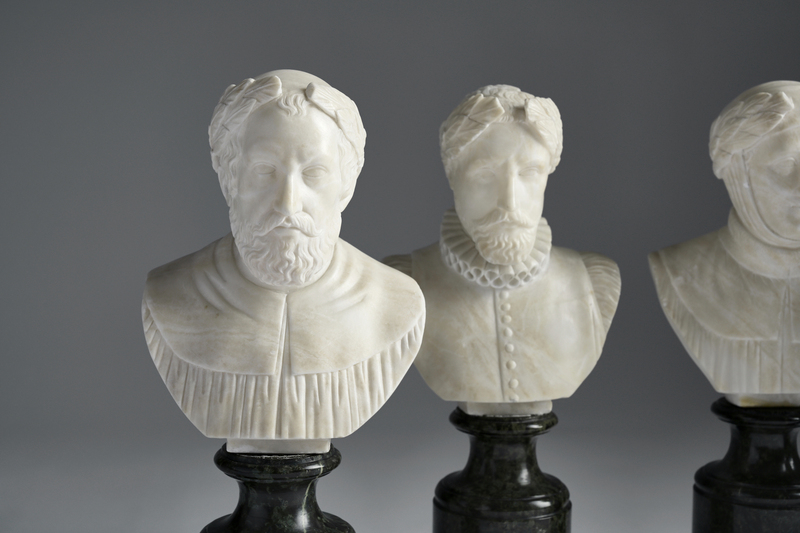 Cervantes who is widely regarded as the greatest writer in the Spanish language and one of the world’s pre-eminent novelists. Most known for his novel Don Quijote. Dante is considered to be the greatest writer in the western world, most known for his novel The divine comedy witch renewed the art of story telling. The legendary author of the Iliad and the Odysse, two epic poems that are the central works of ancient Greek literature, written around the year 800 BC. 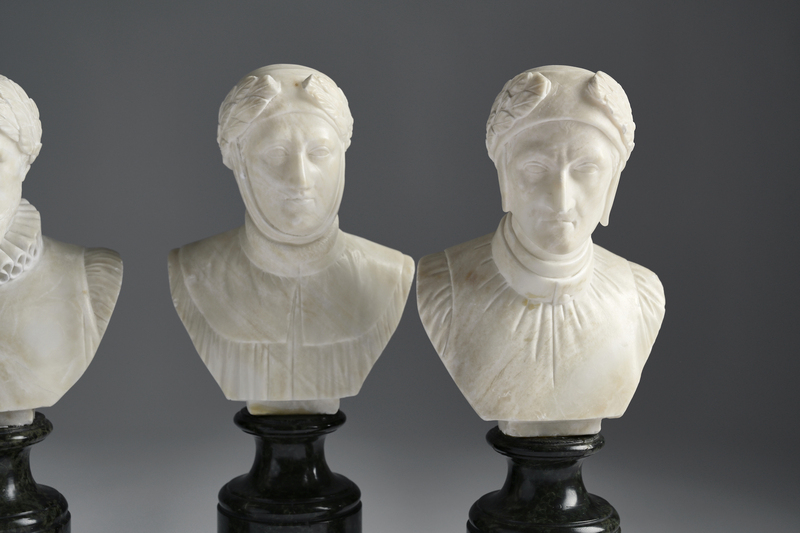 Was a scholar and poet of the Italian renaissance and one of the earliest humanists, and hade a important role for the early Italien literature.